Wrapping up my little half & half miniseries, here's a wacky little sequence that throws in everything but the kitchen sink: a hesitation, travel, turning, and a change of lead foot. 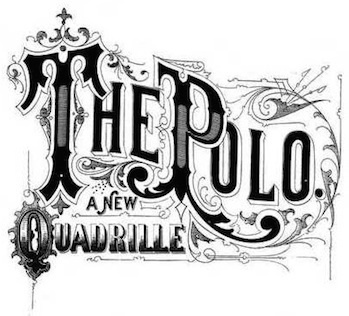 This is from the Quinlan Twins description of the half & half in the 1914 compilation Dance Mad, second edition. The only name given it is the deceptively bland "Seventh Figure". The sequence is unusual in two other ways as well: odd and even measures have different rhythm patterns, and it appears that both measure have no step on the fifth count, an unusual departure from the standard 1...4,5 half & half rhythm pattern. All of this makes it not particularly beginner-friendly. Glide left foot to 4th position front (1): draw right to 3rd position (2); elevate left in 4th position front and carry in a semi-circle to 4th position back, still elevated (3); step back on left, bending left knee slightly (4); point right toe in 4th position front (5). 1 measure. Step forward on right (1); forward on left (2); on right (3); step on left making half-turn to right, left toe pointing in 4th position front, both facing new line of direction (4 and 5). 1 measure. Repeat above 2 measures...changing line of direction on 4 and 5 of each second measure. Here's a nifty little variation for the half & half, as offered by the Castle Assistants in 1914: the scissors. To quickly recap: the half & half is danced in 5/4 time, with the dancers taking three steps (on beats 1, 4, and 5) to each measure of music. There is a lengthy hesitation on the second and third beats. A more detailed description may be found in my earlier post on basic traveling steps for the half & half. The scissors begin with the gentleman's back to line of dance, his right foot free. He crosses right behind (1), hesitates in the usual half & half style (23), then makes two more steps along the same diagonal toward the wall, left-right (45), turning 90 degrees at the end to prepare for the repeat. On the next measure, he crosses left behind and travels toward the center. The lady dances on the opposite feet and always crosses in front on the first beat of a measure. The dancers should meander gently along the line of dance as they cross back and forth. Like all half & half moves, the scissors are made much more graceful if the dancers rise on the toe on the first step and hold there, raising the trailing foot, during the hesitation on the second and third counts. Since the scissors require a right-foot lead by the gentleman, either they must be led on an even bar or the lead foot must be switched (as described in my last post) so that the gentleman is leading with the right foot on an odd bar. The scissors flow particularly nicely following a lead foot change from a natural turning waltz, since the momentum of the turn lets the dancers fall easily into the cross step, but they also work from the promenade, backing the gentleman, and waltz pursuit (gentleman backing). From the reverse waltz, either the transition just becomes a pursuit sequence with the dancers not turning, or, if the dancers actually turn counter-clockwise on beats four and five (step and hold), they will fall into a "reverse scissors", with the lady backing up and crossing behind while the gentleman dances forward and crosses in front. Though that option is not specifically given, it is very much in keeping with 1910s dance style. 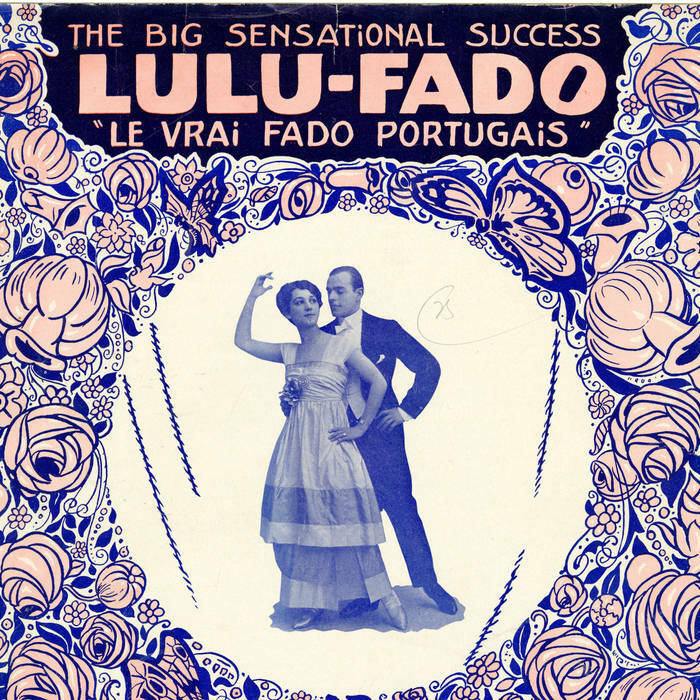 The 1910s tango step known as the scissors (les ciseuax, las tijeras) seems to not be quite the same as the half & half version. As described and depicted by Vernon and Irene Castle, the partners are moving in mirror image on the crossing step, both crossing in front rather than one in front and one behind. What the half & half scissors does resemble is the "boat swing" move in the 1910s one-step, in which the dancers do the same diagonal crosses in four counts with the hesitation shifted to the end: cross-step-step-lift/turn. The same sequence in 3/4 time (cross-step-step/turn with no hesitation) has been adopted as a variation for today's cross-step waltz as travelling "back ochos". You can see the 3/4 version with the lady backing up at about the 2:33 mark here. I touched briefly in a previous post on half & half variations on how to easily change the lead foot in this dance, but since the technique applies to other variations as well (and to other dances, for that matter), I thought I would break it out into its own little post. On counts 4 and 5 of 8th measure, take one step with left foot and pose, leaving right pointed in 2nd position. A little bit of body sway helps keep the foot off the ground. This transition leaves the gentleman free to lead the next (odd) measure on the right foot. If the dancers are highly sensitive to the odd/even bars in the music and prefer to initiate variations on a "first bar", this will allow them to do so. The technique works equally well from the other half & half traveling steps: the waltz (reverse or natural), the walz pursuit, and backing the lady (or gentleman). Variations in angle and amount (or lack) of turn can leave the dancers in whatever orientation is required -- gentleman's back to line of dance, lady's back to line of dance, both facing line of dance, or facing each other (sides to line of dance). To switch the lead foot back, do the same maneuver on a bar when the gentleman is leading with the left foot. He steps left (1), holds (2-3), right (4), and holds (5). An easy way to liven up the half & half, the 5/4 waltz of the mid-1910s, is to vary the promenade. In the basic half & half promenade (previously described here), the dancers take ballroom hold and both face line of dance, gliding forward side by side with half & half step patterns (1...4-5, 1...4-5). Leading the dip is easy, though the gentleman should be careful to guide the lady down gently, taking a long step (lunge) with torso vertical rather than bent forward, so she does not feel like he is pushing her face-first into the ground. To lead the second measure, simply tilt back lightly on the first step; the raising of the free foot must be caught visually by the lady. Repeat the pattern a few times so that she has a chance to perform it correctly. Leading a hop is easy: just hop at the appropriate moment. The lady won't catch it the first time, but she will on the next repeat. 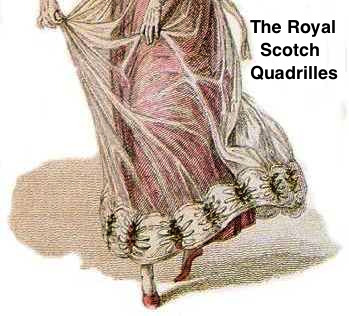 The first half of this pattern just adds a hop to the second half of the Quinlan Twins variation above and is led the same way, with a backward tilt. All three patterns can be mixed and matched, but be careful to repeat each one enough times in succession for the lady to do it successfully. Switching patterns every two measures will just be irritating. Winding up this month's little half and half miniseries, here's another variation from the Castle Assistants, as published in Dance Mad in 1914. This one even has a name, the scroll, as well as a number ("Step 2"). 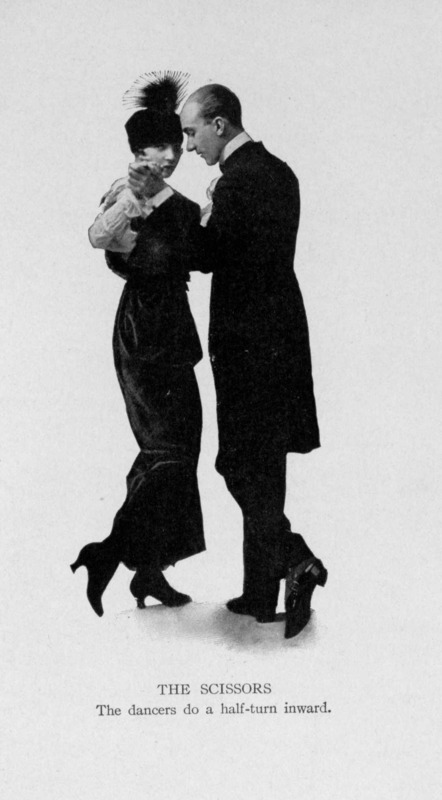 It's essentially a slow-motion grapevine step changing once per bar rather than on every beat, very similar in conception to the 1930s "about face waltz" described here, which has the pattern of one bar of traveling followed by one bar to change the direction each dancer is facing, with the lady and gentleman always facing opposite directions. The scroll uses the basic half and half step sequence (stepping on the first, fourth, and fifth beats of each bar) done in promenade position, as described in my half and half overview here, with the dancers facing opposite directions and traveling for two bars before pivoting. The change of direction occupies only a partial bar rather than the full bar of the about face waltz. I'm on a bit of a roll lately with variations for the 5/4 time waltz of the mid-1910s known as the half and half. Here's another easy one: an underarm turn for the lady, pulled once more from Dance Mad (1914), where it is included in a list taught by the "Castle Assistants" and prosaically labeled "Step 4." The Castle Assistants are presumably associated with one of Vernon and Irene Castle's dance studios. This is not the only variety of underarm turn in the half and half, but it's the simplest of the variations I have come across other than the one found in a small 1914 book of sheet music by Malvin Franklin, illustrated at left (click to enlarge), where the gentleman just stands completely still while the lady makes her turn. That doesn't flow nearly as well as the Castle Assistants' version. Among the variations listed for the half and half in the 1914 collection Dance Mad is an interesting waltz which, unusually for the half and half, involves stepping on all five beats of the bar rather than on the usual first, fourth, and fifth beats. It doesn't have a name; the description is simply labeled "Sixth Figure" and is one of eight figures credited to "Quinlan Twins." For lack of any better name, I refer to it as the five-step variation. Background information and basic traveling steps for the half and half may be found in my previous post here. The illustration at left is the last of a series of illustrations for the Half and Half taken from a small book of dance music published by Malvin M. Franklin in 1914. For general information on dancing the Half and Half, an unusual 5/4 time waltz stepped on the first, fourth, and fifth beats, please see my previous post on basic traveling steps for the dance. In the illustration, the dancers have moved from a normal ballroom hold into a variant side-by-side position in which the lady's left arm is stretched across the gentleman's shoulders to take his left hand at shoulder height, while their right hands are joined behind her back. In this position they move forward together with a series of "alternating steps then sliding steps" before, presumably, resuming ballroom position to continue the dance. Unfortunately, Franklin is not terribly clear on precisely how the dancers get into this position or out of it or, for that matter, precisely what the alternating and sliding steps they perform are. Since the change of position adds pleasing variety to the dance, I spent some time figuring out how to make this work. The half and half, a hesitation waltz danced in 5/4 time, was one of those novelties that appeared and vanished quickly in 1914. There may be as many people alive now who know how to dance it as ever danced it in its own era! It is also handicapped by having very few surviving pieces of music in the right time signature. Today's experienced historical social dancers can probably hum the eponymous "Half and Half" from memory. Sources describing the dance are equally difficult to come by; I have only three in my collection, though one of them, Dance Mad, generously provides four separate descriptions. Click here to listen to a half and half tune in 5/4 time.